The basis of every Eagle™ drivetrain is its chain-and the NX Eagle™ chain is designed and manufactured using genuine SRAM's Eagle™ architecture, so it is fully compatible with every other component in the Eagle™ ecosystem. 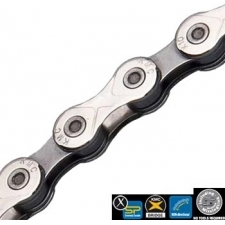 The NX Eagle™ chain features solid pin construction, Eagle™ PowerLock® and smooth, efficient shifting that you can count on every time out. 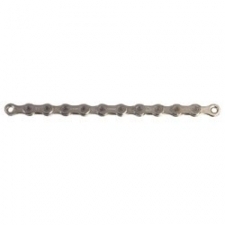 Buy your SRAM PC NX Eagle 12-Speed Solid Pin Chain (126 Links) Powerlock Flowlink, Black from Revel Outdoors.